The compact, lightweight and ultra-functional VoltBeam 5W wireless charger from 4smarts restores your compatible device's battery cable-free. 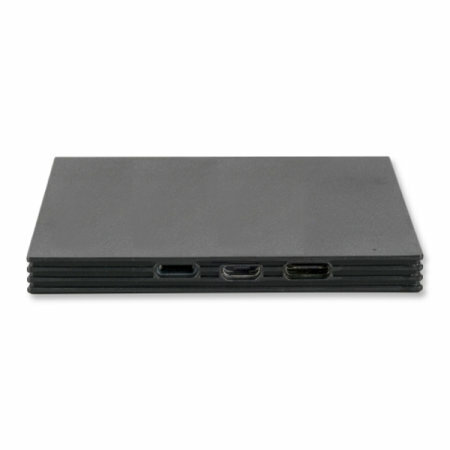 Not only this, but the VoltBeam also offers 3 different power inputs (Micro USB, Lightning and USB-C). Note: please ensure your smartphone is compatible with Qi before purchasing this item. In order to do so, simply click the banner above. With the 4smarts VoltBeam wireless charging pad, you can enjoy the benefits of wireless charging anywhere you go. Simply place your Qi-compatible smartphone or device on the pad and watch the battery spring back to life - no cables attached to your phone or tangled wire nests required. This amazing process utilises induction coils to send an electrical current from the pad to your phone, eliminating the need for power to travel along wires. 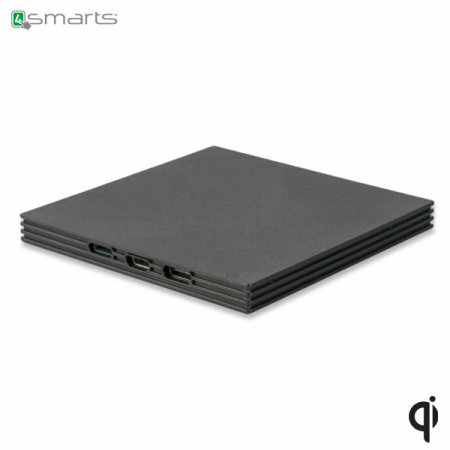 Take advantage of this futuristic technology with this Qi charger from 4smarts. You'll never need to worry about having the wrong power adapter for your wireless charging pad, as the 4smarts VoltBeam features 3 different power inputs, any of which can be used to supply power to the pad. Between Micro USB, Lightning and USB-C, literally every smartphone power source is covered, so there isn't a single wireless charging-compatible smartphone you can't use with the VoltBeam. This pad is built from only the highest-quality materials, ensuring durability and resilience. Not only will the pad last a long time, but it'll also look great while doing so thanks to 4smarts's customary attention to detail and minimalist aesthetic. Why miss out on wireless charging when you're on the move? This charger is slim and lightweight enough to slip into a backpack, handbag or any storage method you like - perfect for going on holiday, visiting friends and family or just moving from room to room in your house. Thanks to the integrated LED indicator, you'll always know the charging status of your device - no more uncertainty over whether you've got your phone at the right angle or on the right spot. 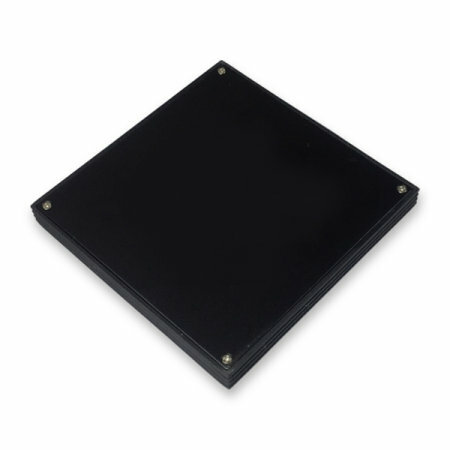 Any smartphone which has Qi wireless technology can utilise this pad's charging capabilities. If your phone doesn't have Qi, don't worry - we sell a range of adapters, one of which is sure to be perfect for your device.